Kate is our Director of Law and Director of Education at our Penryn Campus and has been working with Exeter since 2009, following a number of years working in the legal profession. Kate qualified as a solicitor in 2001 and her practical experience includes business acquisitions and disposals, landlord property portfolio management and leasehold negotiation. Kate’s research and teaching interests include environmental law, creativity in the communication of global issues and the achievement of sustainable development. Kate is dedicated to innovation and interdisciplinarity in teaching and scholarship and uses her experience in practice to embed key transferable skills throughout her work. Kate’s professional training makes her well placed to train students in public speaking, advocacy, negotiation, letter and opinion writing, and the interpersonal skills necessary in building rapport with clients. Kate embeds the skills inherent in a legal career into the design and delivery of all of her programmes, and strives to ensure that our graduates, whatever their ambitions, are as employable as possible. Kate is committed to enhancing the student experience by incorporating field course and work experience into her teaching. Kate has developed a range of pro-bono opportunities for students enabling them to gain invaluable experience working in the community. Kate is currently working in conjunction with the Dracaena Centre in Falmouth and The Legal Advice Centre in London to offer free legal support for litigants in person at Truro Combined Court. 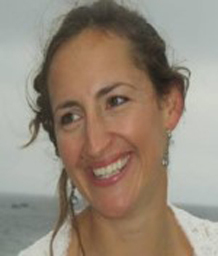 Kate has worked on the development of a range of programmes at the University of Exeter in Law, Environmental Management, Heritage, and Science, Technology and Society. Kate is a member of the Law Society and a Fellow of the Higher Education Academy. Kate has been the programme lead with Exeter on core components of the LLB (Hons) degree in law including Land Law, Trusts and Tort and has experience teaching across a range of other modules. Kate has been responsible for the design of the Law and Business programmes for Exeter, and also the Flexible Combined Honours pathway in law which are all unique to our Cornwall Campus. Kate is working on a range of widening participation initiatives and is co-leader (with Dr Caroline Keenan) on 'The Case for the Earth', which is part of Exeter's Grand Challenges event on the Penryn Campus in 2019. Kate completed her LLB (Hons) in Law at Southampton University and went on to study the Legal Practice Course at Guildford College of Law. Kate completed the professional stage of training to qualify as a solicitor with a high street firm in Southampton and built her niche expertise working with a large regional firm negotiating leases and providing corporate suppprt in business acquisitions and disposals. Kate returned to academia in 2009, and after a number of years delivering core subjects on the LLB(Hons) programme, Kate completed an MSc in Sustainable Development. This study facilitated research on topics like environmental justice, the use of fieldwork in learning for sustainability, the encouragement of pro-environmental behavior, energy policy and the impact of climate change on heritage assets. Kate has an LLB Honours degree from Southampton University and an MSc in Sustainable Development from Exeter. She is a qualified solicitor and practiced for a number of years before joining Exeter as a Lecturer in 2009. Whilst in practice, Kate specialised in business acquisitions and disposals, property portfolio management and corporate support. She is a Fellow of the Higher Education Academy.